Nadia El-Mabrouk spends her days working in a “male” environment: only three of her 39 colleagues in the Department of Computer Science and Operational Research at Université de Montréal are female, while almost all of her master’s and doctoral students are young men. And yet, Nadia El-Mabrouk feels at home. “I have managed to make a place for myself, and to earn the respect of my colleagues and students as a researcher,” she observes. In fact, El-Mabrouk feels privileged to have a university career in the field of computational biology, a theoretical branch of bioinformatics that combines computer science, mathematics and life sciences. In doing so, the scientist is defying stereotypes and showing Québec girls that it is possible for a woman to succeed and flourish in the more “dry” scientific fields. 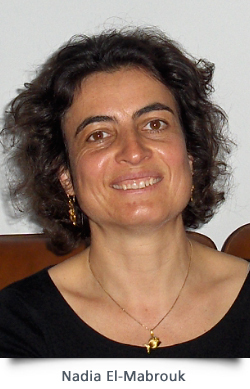 As a researcher with the Centre de recherches mathématiques and Centre Robert-Cedergren at Université de Montréal, Nadia El-Mabrouk develops algorithms – sets of mathematical operations – used to handle, process, compare and archive a phenomenal quantity of biological and biochemical data. For example, the National Center for Biotechnology databases store tens of millions of protein sequences and more than 100,000 sequenced genomes. “My work is aimed at helping researchers resolve certain biological problems and detect changes that occurred during evolution, for example, changes to the genetic code and to the mechanisms for the transcription and translation of genetic information,” explains the bioinformatics specialist. Pursuing such a career would probably have been far more challenging if El-Mabrouk had stayed in her home country of Tunisia. “In Arab countries, the relationship between men and women is very different,” she notes. “In particular, reconciling work and family is more difficult than in Québec and is not very compatible with the job of researcher, which requires frequent travelling to present your work.” Nadia El-Mabrouk appreciates the incredible freedom and respect enjoyed by Québec women. Putting things in perspective, however, the researcher admits that Québec suffers from stereotypes related to career choices. In France and Tunisia, where science is highly valued, many young women choose to study mathematics and computer science. In Québec, women seem to flee from calculations and computers. According to Nadia El-Mabrouk, the problem is a cultural one. Mathematics and computer science are subject to heavy stereotyping: they are subjects for geeks and hackers, too technical for women, etc. 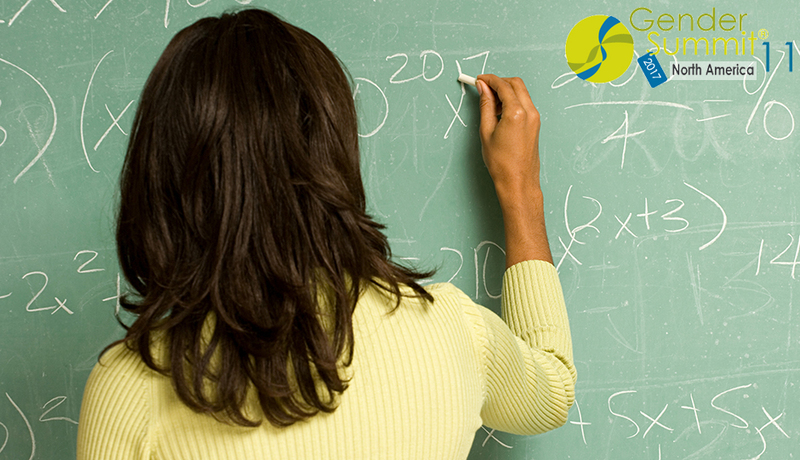 She feels that schools do not do enough to eliminate these reductive views. Ethics and religious culture textbooks, for example, still differentiate between genders when it comes to social status and function. “Not enough is done to counter the conventional wisdom that girls are genetically programmed for health care while boys have a more mathematical mind,” she insists. “We have to abandon stereotyped discourse and let young people make choices based on their own personal interests, not according to gender.” And why not provide them with role models like Nadia El-Mabrouk?